The events of Thursday night’s unfold in a frantic rush for the weekly leadership team at Oklahoma State Cru. Prior to the meeting, we set up the sound, the band practices, we run through the program with the emcees, do a last minute check on the power point, pass out comment cards and pens and work really hard to remember to invite God into the process. After Cru, we tear it all down and pack it up ready for next week. However, this particular Thursday night I didn’t mind waiting to accomplish the tasks at hand. Tanner Larson had a look on his face like he was ready to commit to something that was going to change his life. I casually walked up to him to say hi, and he said he needed to talk. 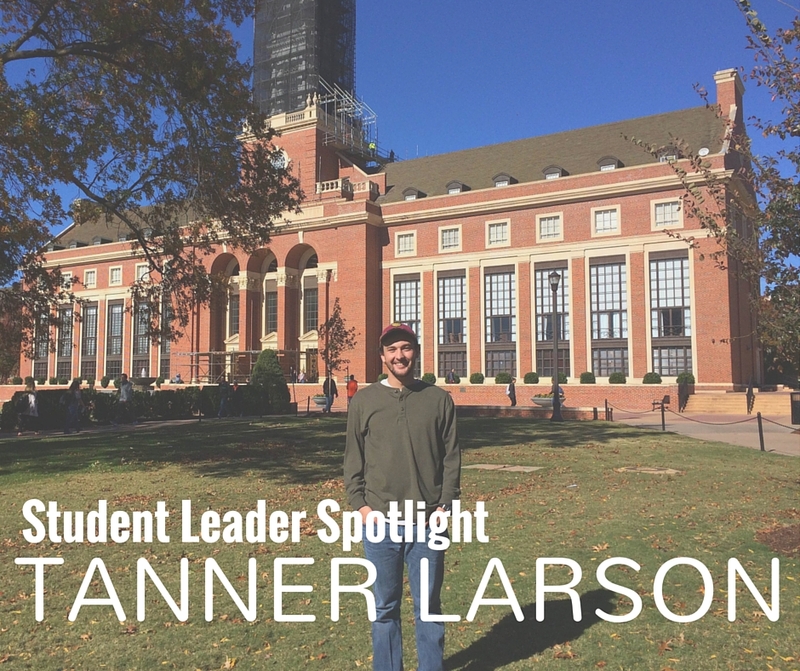 Tanner was undoubtedly processing how God wanted to use him at Oklahoma State. We chatted for a bit and discussed how he could take the next steps in learning to disciple others. Prior to the conversation, Tanner and I had been co-leading a freshman Bible study since the beginning of the semester. He was growing in his ability to lead and engage with the students in the group when he approached me about discipling some of them. Something we talk a lot about within Cru is men rejecting passivity and accepting the areas of responsibility God has given to us. Tanner previously heard these concepts as a student leader within Generation Sigma and was growing in his understanding of stewardship. On this night, Tanner had had enough. He was ready to see how God was going to use him. As men, sometimes we don’t accept responsibility for the missional calling in our life. I think this is due in large part to the fact that we are afraid. We are afraid that we won’t have an answer for what will happen. Often we are afraid of what people will think or how weird we will look. The biggest fear preventing me from living with a missional mindset in college was that God was going to call me to do it full time. As a college student, pondering my life in front of me, I didn’t want to trade in worldly success. Now, being on staff with Cru, I am constantly shown just how foolish of a thought that was. I am proud of Tanner for having courage, rejecting passivity and accepting the responsibility to lead the freshmen at OSU. Tanner embodies the kind of student we need as staff with Cru. He is not perfect nor does he claim to be. Yet he is teachable. His heart is growing in willingness to allow God to use him. 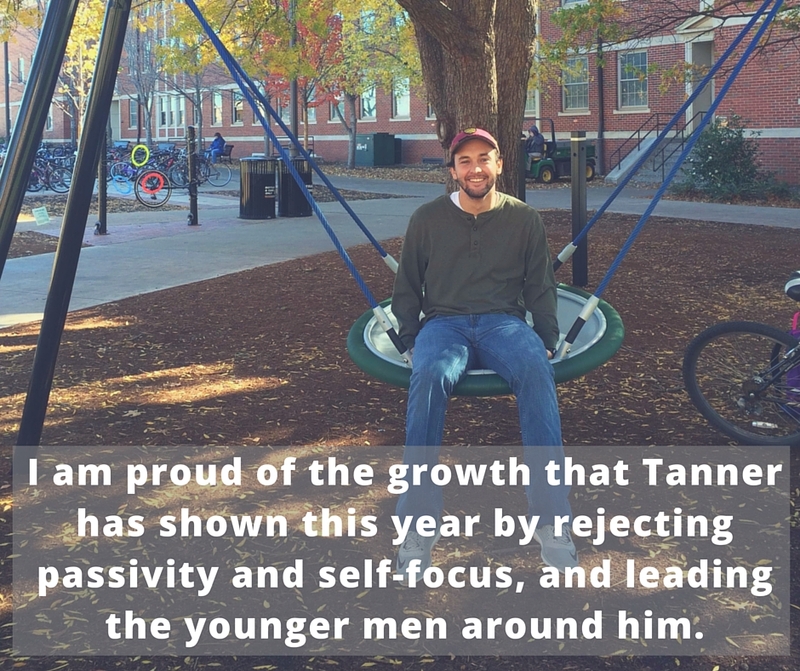 I am proud of the growth that Tanner has shown this year by rejecting passivity and self-focus, and leading the younger men around him. Men at OSU, follow his example.